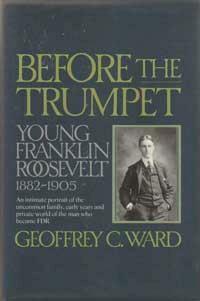 Geoffrey Ward’s “Before the Trumpet: Young Franklin Roosevelt, 1882-1905” was published in 1985 and was followed four years later by the award-winning “A First-Class Temperament: The Emergence of Franklin Roosevelt, 1905-1928.” Ward is a historian and author and has written about a wide range of subjects including Mark Twain, jazz and the U.S. Civil War. This 342 page book provides a detailed look at Franklin Roosevelt’s early years – from his birth to his marriage to Eleanor in 1905 at the age of twenty-three. But it also offers an in-depth look at several generations of FDR’s ancestors, with detail and insight rarely found elsewhere. Ward’s book proves an easy, fluid read which is supported by careful research and skillful drafting. But this is not a conventional biography, a character study or an exploration of Roosevelt’s (eventual) political philosophy. Instead, it is an absorbing array of stories stitched together to create a colorful tapestry of FDR and his family. And while Franklin is not consistently the center of attention, he is more often than not its spiritual epicenter. Some readers may be disappointed (if not downright surprised) by the emphasis afforded FDR’s forebears. More than 100 pages pass before Franklin is born. Even then, however, the reader is whisked quickly through Franklin’s first fifteen years. Only when FDR leaves home to attend Groton does the pace slow meaningfully. But Franklin does not remain the center of attention for long – the book’s final two chapters are largely devoted to Eleanor Roosevelt and her relationship with the future president. These chapters prove exceptionally rewarding and Ward provides the most engaging review of Eleanor’s early life that I’ve ever read. It is almost a more compelling narrative than that provided to Franklin in earlier chapters. One of the most unique (and unexpected) features of Ward’s book is the way he employs footnotes. Where they are often dry and cumbersome in other books, Ward’s footnotes are often as interesting as the text they support. This is particularly remarkable given the fact that they occasionally take up more of the page than the narrative itself. Glad you enjoyed it. I really did as well. Got through about 1/2 of “First Class Temperament” before setting it down, and need to pick it back up. I just find that Ward’s method of telling FDR’s story really works well for me, and am only disappointed he didn’t carry it forward. Read this growing up. A seminal book for me. 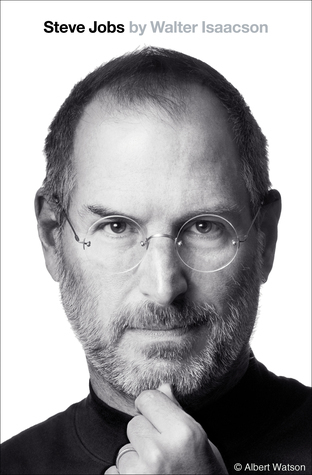 It is my favorite read. I have read it sooo many times. The narratives of his forebears are engrossing and informative as well as entertaining. Similar to Mornings on Horseback: Theodore Roosevelt.